The Staircase People bring you the ultimate range of kit staircases – spiral, spacesaver and modular stairs for easy installation. Great prices & great advice. NEW UPGRADED VENUS 2 STAIRCASE! The Venus 2 Space Saver Staircase with alternate (or paddle-shaped) treads. 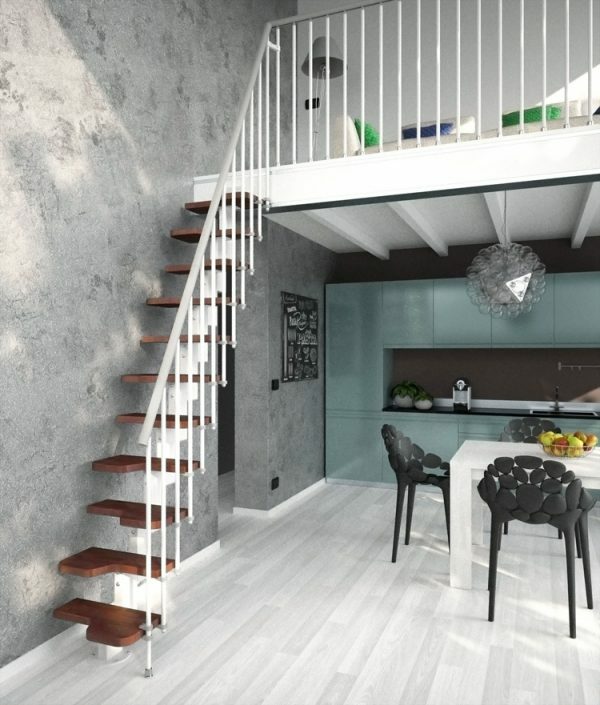 Using treads in this format reduced the overall space taken by the staircase by almost 50 %! The Venus 2 spacesaver stair is installed in a straight flight and has now been upgraded with a rigid PVC handrail in grey. 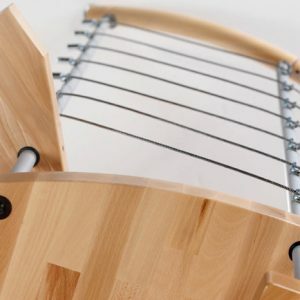 The kit comprises 11 treads/12 risers; the treads are 40mm thick solid beech. 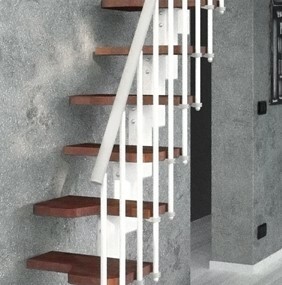 Matching balustrading for the stairwell is available in our Accessories pages. 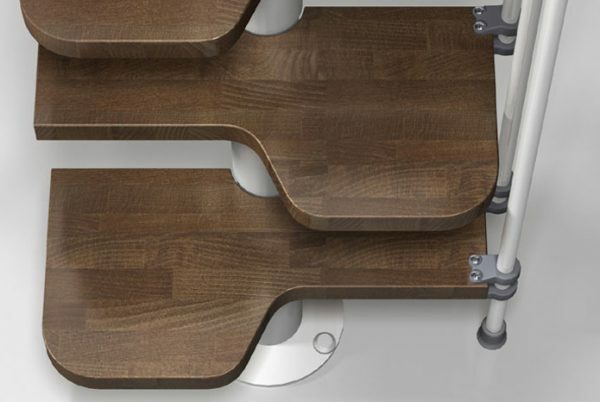 The Venus 2 Space Saver is available in a choice of three colours of powder coated steel – White, Grey or Black, and two shades of tinted Beech treads – Light (Natural) or Dark (Walnut) Beech. Please choose your colour choices in the drop-down boxes below. Warranty Period :: Two Years. The fixing design details are in dark Grey for the White and Grey steel colour options. N.B. PLEASE NOTE: It is your responsibility to ensure that any Local Authority approvals necessary have been obtained. This will vary according to your application and we advise you to always check before going ahead with a purchase. 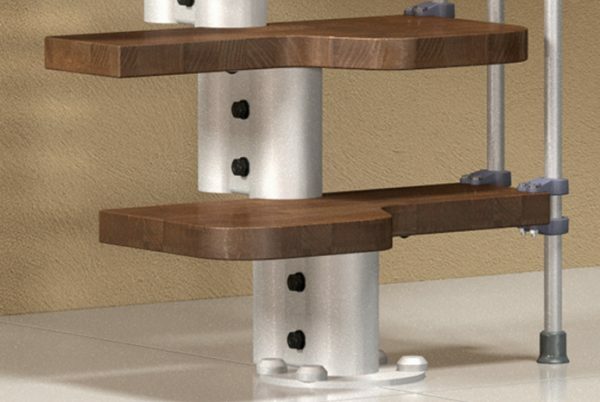 The Standard Kit suits floor to floor heights of up to 2796mm (to suit UK Building Regulations tread rise). 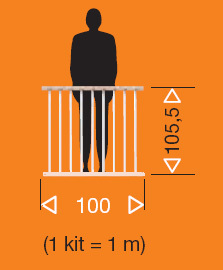 For higher floor to floor heights, use additional tread kits and components as shown on the Accessories pages. Check HERE for the Venus Components sheet for advice on components or accessories you may need for your project. 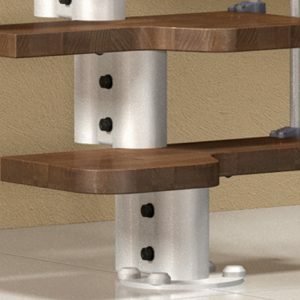 A full range of matching accessories are available e.g., additional tread kit (to a maximum of 2), second side balustrading if the staircase is open on both sides), matching stairwell balustrade. 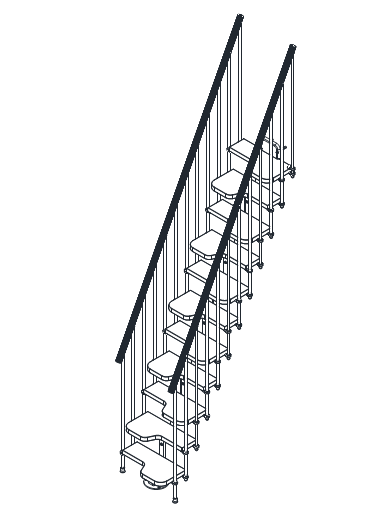 *N.B.Please note that this staircase is manufactured to meet most European building regulations and some of the configurations available may not be acceptable to UK Building Regulations Officers. It is your responsibility to ensure that any Local Authority approvals necessary have been obtained. This will vary according to your application and we advise you to always check before going ahead with a purchase. The delivery takes approx 10-15 working days (and is FREE delivery to UK mainland). Venus Installation Instructions download HERE. 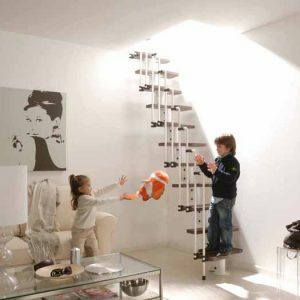 Open the online Ehleva brochure below and scroll through the pages until you reach the Venus Spacesaver Staircase section for more details of the Venus stair kit. If you need any further help, just give us a call.